Postcard portrait of of Gertrude Eaton. 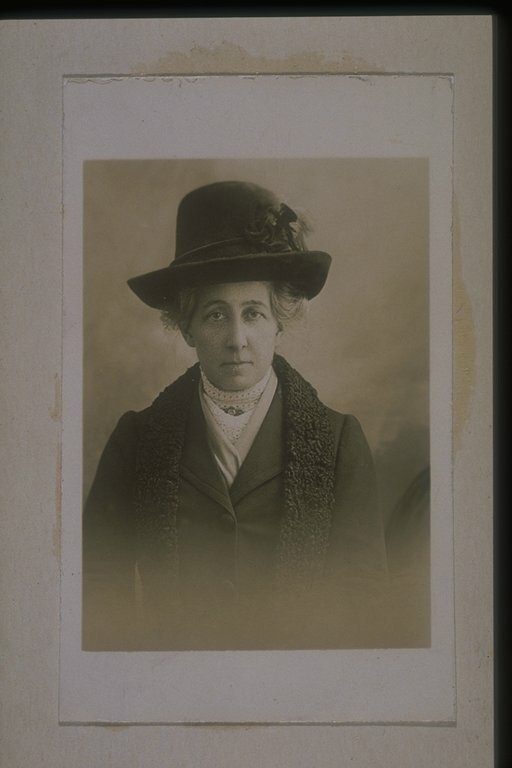 Eaton was Honorary Secretary of the Prison Reform Committe and a member of the Tax Resistance League, sister organisation to the Women's Freedom League. Eaton is mentioned in suffragette publication 'The Vote' as having her household silver seized and auctioned in July 1911 for non-payment of taxes. On this occasion, Anne Cobden Sanderson, in her capacity as committee member of the Tax Resistance League, explained to the bidders that many suffragettes believed that 'taxation without representation is tyranny'.